Note: This is an updated, softcover edition of Insight Out: Readers will learn how to work through the four steps of The Invention Cycle: Imagination (envisioning things that do not yet exist), Creativity (applying your imagination to address a challenge), Innovation (applying creativity to generate unique solutions), and Entrepreneurship (applying innovation, to bring ideas to fruition, where our ideas then gain the power to inspire the imaginations of others). Using each step to build upon the last, you can create something much complex, interesting, and powerful. Imaginative. Innovative. Ingenious. These words describe the visionaries we all respect and admire. Contrary to common belief, these skills are not a gift some of us are born with - they are skills that all of us can learn. 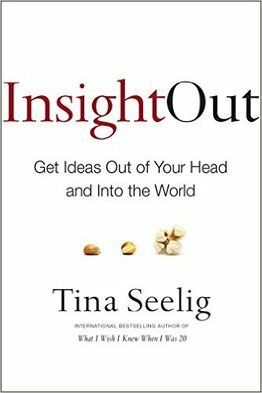 In inGenius, Dr. Tina Seelig expertly demystifies creativity, offering a set of tools and guidelines that anyone can use. Note: This is the hard cover edition of Creativity Rules.Tina Seelig has continually explored what we can each do to unleash our entrepreneurial spirit. In Insight Out, she offers us the tools to make our ideas a reality. She clearly defines the concepts of imagination, creativity, innovation, and entrepreneurism, showing how they affect each other and how we can unlock the pathway from imagination to implementation, where our ideas then gain the power to inspire the imaginations of others. 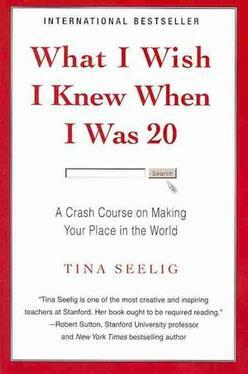 Tina Seelig has written a provocative field guide to 21st century creativity, with her energy and enthusiasm bursting through on every page. We all could use a little extra spark of creativity, and this book helps show the way. “Tina Seelig draws from the halls of Stanford to the walls of start-ups to distill the secrets of successful entrepreneurs. Whether you are an aspiring entrepreneur or an established professional, Insight Out will be your essential guide for converting your ideas into impact.